The recruiting industry has not significantly changed 20+ years since the first electronic job boards were created. Many tools have been created to support the status quo, but most solutions still require a company to spend countless hours searching databases and performing many manual steps to decide if a candidate is worth bringing in for a face-to-face interview. 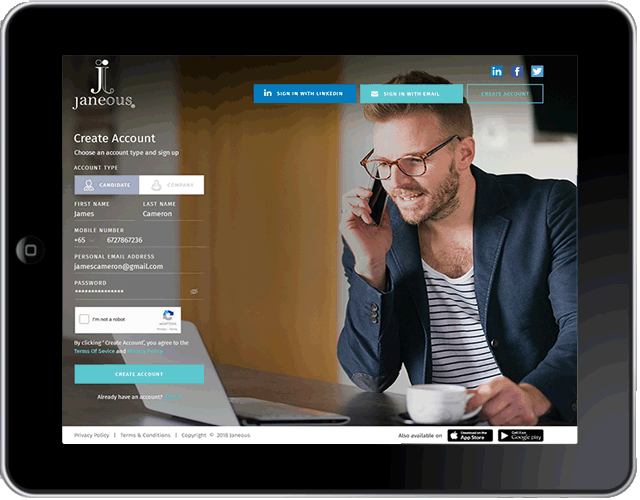 Janeous.com is being designed as an industry agnostic digital solution to modernize and consolidate all of these processes. 2018 © Hawkins Global Pte Ltd. All rights Reserved.